With some eight airports serving the UK’s capital, London boasts a wonderful choice to the private and business jet charter client. However, leaving these airports quickly by car can be a major issue when trying to get clients to their final destination. Farnborough Airport – probably Europe’s finest Business Aviation Airport. RAF Northolt – predominantly a military airfield but growing in popularity due its proximity to London’s West End. London Heathrow – the main international hub but still used by several business and private jet companies. London City Airport* – with its steep glide slop, operators need to be approved, however it is very convenient for the financial districts and Isle of Dogs. Gatwick Airport – South of London nestled between the North and South Downs. Less problematic for slots than that of London Heathrow. Stansted Airport – Very popular with the larger private and business jet operators as Stansted hosts large FBOs whom can accommodate such aircraft. London Luton – Direct access via the M1 Motorway into the City. Each of the above airports serve London, other than London City Airport (*which does not cater for helicopters) all have transport issues due to an overwhelmed road system and road works paying havoc with travel plans. 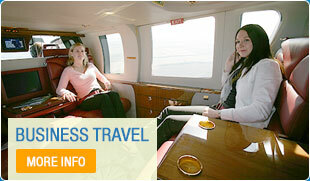 A helicopter charter direct from your business or private jet is a definite alternative. Typical flight times are 10-20 minutes dependant upon which airport you arrive into. Interlining with your jet is easy. Our designated airport handling agents whom will be handling your jet will also look after us, making the transfer between the jet and helicopter seamless. Call the friendly Operations Team on: +44(0)125 663 5000 or use this form below to send them your booking.